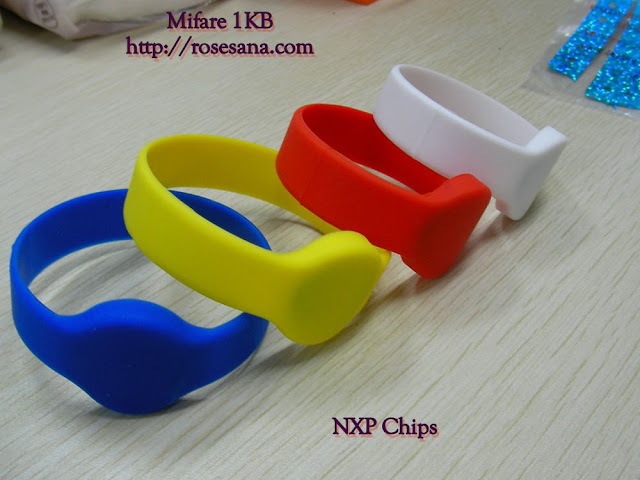 Color available : White, Red, Yellow, Blue. 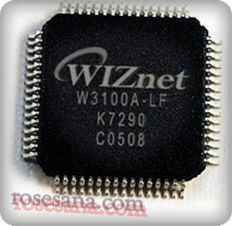 WIZnet Chip Fully Hardwired TCP/IP Chip, W3100A-LF. Reducing Jitter with fixed processing time by hardware. Enhancing video and voice quality. 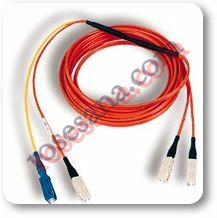 The Usage of Mode Conditioning cable , if you want to apply Gigabit single-mode (LX) over an existing multi-mode fiber Optic Cable Plant. Things to know when using mode conditioning cables to patch an existing multi-mode cable plant to your Gigabit Single-mode (LX) equipment. Mode conditioning cable are normally used in pair. That means you need a MC cable at each end to connect the equipment to the cable plant. So then these cables are usually ordered in even numbers. The usual reason why someone may order one cable is for spare unit. Generally, Mode Conditioning patch cords are required for link distances greater than 984 feet (300 meters). We have heard some case stories where that distance has been lesser or greater. To our experience, the distance of 984 feet (300 meters) is just a benchmark. Your results may vary according to various different equipment and field conditions. Some manufacturers of the newer "high end" multimode fibers claim that that their premium line cables will not require mode conditioning. Contact the manufacturer of your installed cable for the answer. Stingray Robot by Parallax Inc. The Stingray robot from Parallax Inc. provides a mid-size platform for a wide range of robotics projects and experiments. 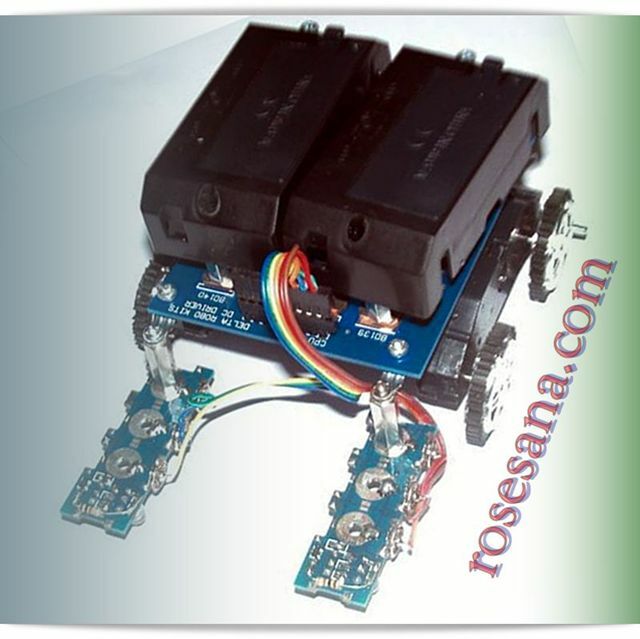 The Propeller Robot Control Board is the brains of the system providing a multiprocessor control system capable of performing multiple tasks at the same time. The Propeller chip provides eight 32-bit processors each with two counters, its own 2 KB local memory and 32 KB shared memory. This makes the Propeller a perfect choice for advanced robotics and the Stingray robot. • Multiple mounting locations for sensors, add-ons, etc. 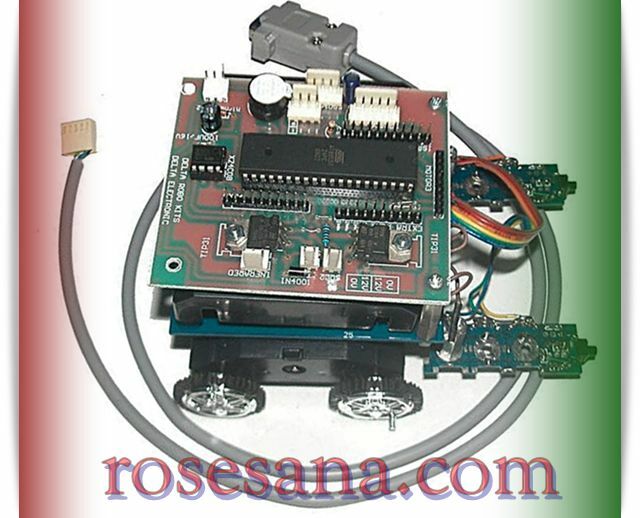 The Propeller Servo Controller allows you to control up to 16 servos (32 using two Propeller Servo Controllers) by sending serial commands from a microcontroller or PC via its USB connection. The Propeller Servo Controller USB is Propeller-based and open-source. This means you can modify the existing code or develop your own code to make the Propeller Servo Controller do more and control more. 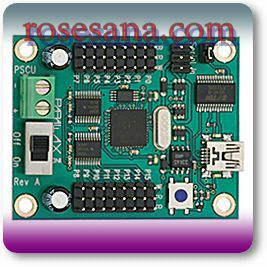 The Propeller Servo Controller USB is fully compatible with our previous servo controllers and will run with the beta PSCI software application. In addition the hardware and software were set up to take advantage of additional features that you can implement in custom software. Additional features that can be taken advantage of with custom software are an additional 32K EEPROM included for storing of custom settings and/or sequence data, CMOS switch capable of controlling downstream serial communication and a software controlled LED. Outputs are set at 5V. The Propeller Servo Controller USB contains a superset of the original servo controller commands. Any output can be disabled on startup or set to a custom startup position. Outputs can also be disabled and enabled at any time. 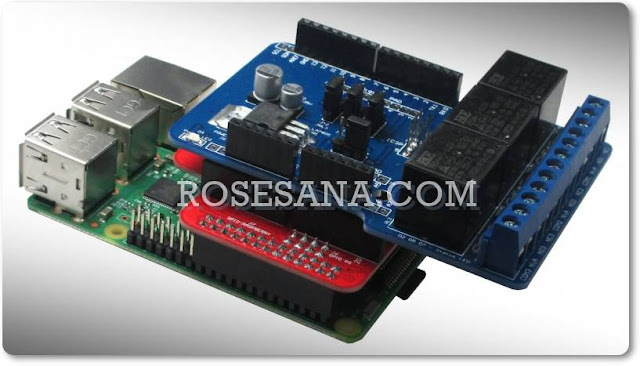 The Propeller Servo Controller USB can be powered from a PC USB port or by the host microcontroller. Low Cost programmable mobile robot with ATMega 8515 (Local Assembling), for multipurpose mobile robot. 2 line follower sensor thant adjustable for thin and thick lines. Low Cost Line Follower robot (local assembling). 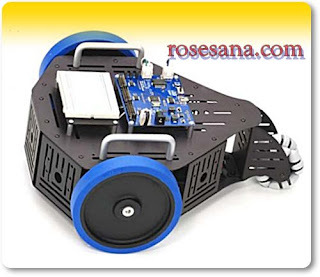 Single function line follower robot kit, for beginner. 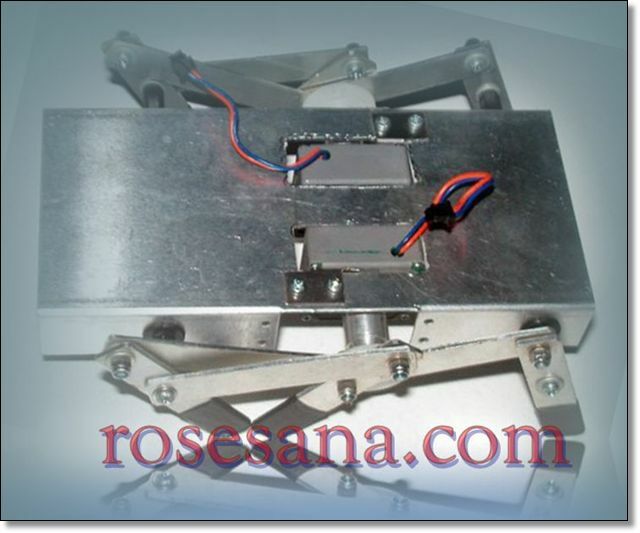 Low cost Hexapod Aluminium body robot, is special purpose body robot for learning Hexapod walking principles. 3 in 1 Development System - Development System + On-Board USB 2.0 programmer + On-Board mikroICD (In-Circuit Debugger): mikroICD is a highly effective tool for Real-Time debugging at hardware level. It enables you to execute mikroC, mikroPascal and mikroBasic programs on a host PIC microcontroller and monitor variable values, Special Function Registers (SFRs), RAM and EEPROM memory modules while the program is running. There is an ultra fast USB 2.0 programmer for MCU programming that now supports more PIC microcontrollers. 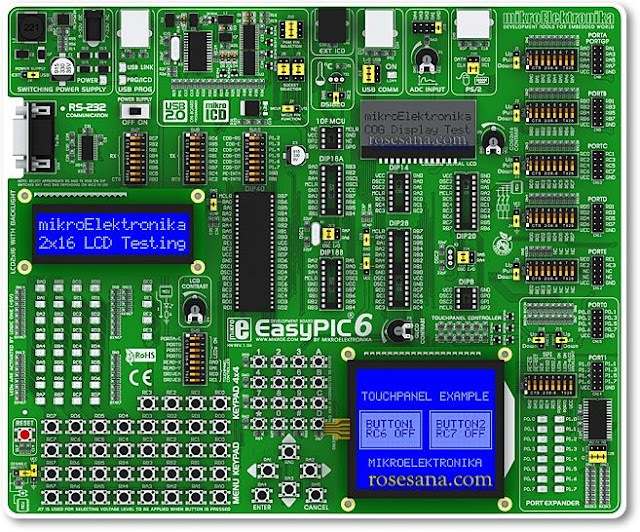 EasyPIC6 is a development system that supports over 160 8-, 14-, 18-, 20-, 28- and 40-pin PIC MCUs. EasyPIC6 allows PIC microcontrollers to be interfaced with a wide range of peripheral modules. Very fast, on-board USB 2.0 programmer with a simplified driver installation. On-board 16-bit I/O port expander MCP23S17 that uses SPI communication. mikroICD is a hardware tool designed for testing and debugging programs on PIC microcontrollers. EasyPIC6 includes an on-board Touch Screen controller with a Touch Panel connector. Note: Touch Screen, Pencil, DS1820, LCD, Serial Cable and GLCD are not included in the price! RS-232 communication with a PC or a microcontroller is performed via DB9 connector. System provides support for MCUs in DIP8, DIP14, DIP18, DIP20, DIP28 and DIP40 packages. It comes with a PIC16F887. 2x16 character COG Display is used for displaying text messages. It is connected to the system via SPI. On-board jumpers are used for pull-up/pull-down port configuration. These jumpers are available for all pins. Very fast USB 2.0 programmer with mikroICD support. There is no need for connecting the external programmer. System can be configured by means of DIP switches. Each DIP switch configures one part of the system. Touch Screen can be connected to the board via Touch screen connector. There is also a Touch Screen controller. Graphic LCD 128x64 can be easily connected to the board via the appropriate connector. It is connected to MCU pins. USB communication connector enables you to connect your microcontroller with a PC via USB interface. 4x4 Keypad allows efficient entry of numeric data and other characters as well. 2 potentiometers are used for testing multiple A/D conversions. Inputs can be configured via jumpers. All microcontroller pins are connected to the IDC10 connectors for further expansion. 36 push buttons are used to excite microcontroller digital inputs. They are connected to all microcontroller pins. LCD can be easily connected via the on-board connector that is also connected to MCU pins. External power supply can be either DC or AC. The on-board jumper is used for selecting external power supply. MCU pins are marked on the back of the board. These marks provide basic information on the pins. Reset circuit is used to reset the microcontroller. It is connected to the MCLR pin of the microcontroller. Menu Keypad enables easy and fast menu browsing for your prototype device. Digital thermometer DS1820 measures temperature from -55°C to 125°C. It is connected to the system via socket. USB or external power supply source is selected by moving a jumper. Power supply switch turns the system on/off. 36 LEDs (Light Emitting Diodes) are used to indicate the logic states of all microcontroller pins. DIP switch is used to separate port pins from pull-up/pull-down resistors. LCD Contrast Potentiometer is used for adjusting LCD contrast. Quartz Crystal is replaceable. The MCU pins can be configured via jumpers as oscillator inputs or regular I/O pins. Voltage level to be applied when a button is pressed (GND or +5V) is selected via the on-board jumper. PS2 connector enables the development system to be directly connected to a PS/2 device such as keyboard or mouse. Port Expander enables you to add more inputs or outputs to your prototype device.